Employees are the lifeblood of a company. Their levels of productivity can mean the difference between profit and loss, which is why keeping attitudes positive and morale high is so important. In order to gauge how employees feel and the level of engagement, managers should utilize employee surveys that maintain a certain level of transparency in the workplace. 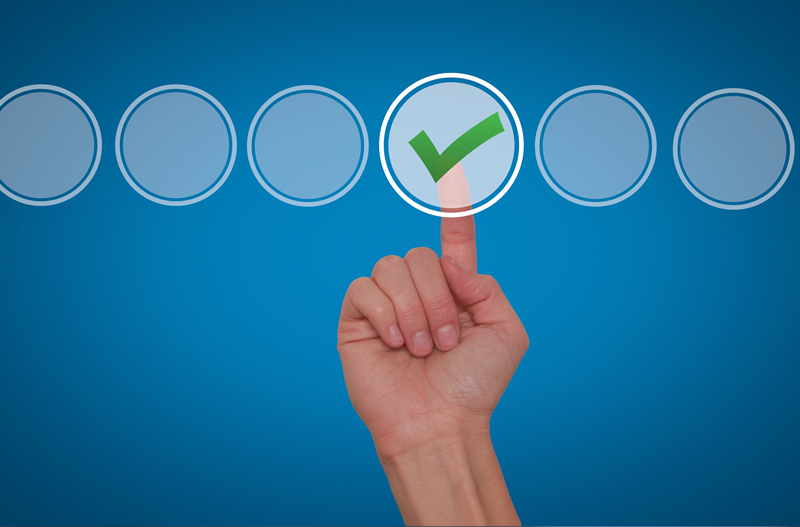 Here are some of the benefits of conducting employee surveys. Engaging employees starts with building trust. By asking for their input via surveys, it shows that the company is taking an interest in their opinions. It shows that they care, which can lead towards employees feeling more included in the business. Deeper connections between a company and its employees means better teamwork and employee performance evaluations overall. Additionally, it creates more motivation to contribute to their best interests as a whole. Employee surveys can provide useful insight into the workplace climate at any organization. This is particularly helpful for new startups. Modern businesses like to create an enticing, engaging and enjoyable workplace climate. An employee survey is a simple, yet effective, way to determine whether or not your workplace climate meets your expectations. That makes it easier to identify problem areas and make fixes to improve the office climate. That way, you can define office culture for your business and then actually follow through to make sure that that business culture is accurately reflected in the office climate. Once employees are more engaged, they are willing to produce more than what is simply required of them. Positive attitudes often result in better work environments, which are optimal settings for increasing productivity and having a real impact on goals vs outcomes. Employees will be able to focus more of their mental energy towards making contributions rather than towards thinking about the end of the day or about the animosity they have toward their boss. Employee surveys are not just for the employees. They also help to identify weaknesses or strengths in management. It may ask what managers need to do better, or what they need to continue doing. Employee input is vital in this regard, as managers will be able to improve their own processes and increase productivity on their end. It helps provide the work motivation managers need for continued improvement. Surveys don’t have to be limited to existing problems. They can be a convenient way for managers to hear new ideas from their employees. Some workers might be capable of contributing on an intellectual level far beyond what their job responsibilities expect of them, but they may not be willing to speak to a manager about it. Written surveys will open the way for collecting ideas that could lead to new methods or products for the company. That is why learning how to create an employee survey is a crucial component of obtaining PMP certification in Michigan and elsewhere. Employee surveys are good for saving time and money in the sense that retaining existing employees is far more cost-efficient than hiring new ones. The time it takes to find, hire and train new employees is crippling for a business, as it can take months for the contributions of a new employee to break even with the costs of hiring them. Improved team management can help to prevent these costs. As stated earlier, employee surveys will keep existing employees happy, and increase their chances of staying while improving production. There are some questions to include in employee engagement surveys that you definitely should not leave out. For example, asking “Do you understand the broader strategic goals of the organization as a whole?”, allows you to determine whether your employees feel actively apart of a team working toward a common goal. This is crucial to good employee engagement and effective change management. On that same line, you should also ask if employees see a link between what they do and how it helps the organization reach its broader goals. You should also include questions about teamwork, like “Does your team encourage you to do your best work?” or, “Do you help your team complete their work? Do they help you complete your work?” These questions should certainly be included on any employee engagement survey. Communication between employees and their managers is one of the most important aspects of running a business. Without being able to discuss certain problems one may have or problems inherent in the company’s style of conducting business, managers will continue to practice styles of inefficiency while employees suffer and decrease productivity. While a panel interview may take up too much time, employee surveys are a great way to alleviate this problem. Business managers should consider all of their benefits before choosing to keep their employees unheard.